Top row (left to right): 1. unidentified, 2. unidentified, 3. unidentified, 4. unidentified, 5. Julie ?, 6. unidentified, 7. unidentified, 8. unidentified. Second row: 1. John Coronado, 2. Sharon Wilson, 3. no picture, 4. no picture, 5. no picture, 6. no picture, 7. unidentified, 8. Karen Hendricks. Third row: 1. no picture, 2. unidentified, 3. Linda Potthuff, 4. unidentified, 5. unidentified, 6. Dale Mooney, 7. Cindy Robbins, 8. no picture. Fourth row: 1. unidentified, 2. no picture, 3. unidentified, 4. no picture, 5. unidentified, 6. Charlyn Hughes, 7. no picture, 8. unidentified. Fifth row: 1. Nancy Callahan, 2. James Alexander, 3. no picture, 4. 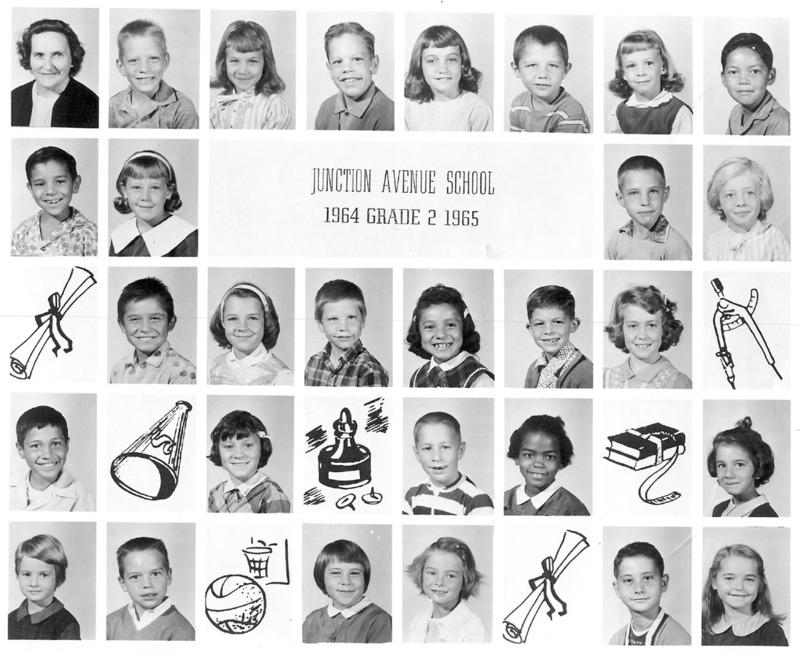 Sharon Wilson, 5. unidentified, 6. no picture, 7. unidentified, 8. Diane Thompson.